Rovner ligature and cap sets are great value and very popular. The 3RL is a Dark model for Bass Clarinet mouthpieces. 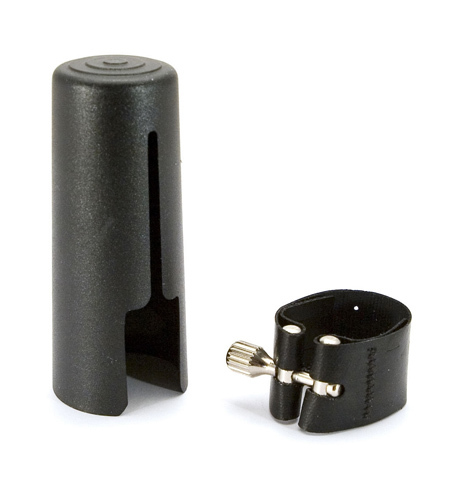 This ligature is from Rovner’s Dark range which is suitable for a more mellow sound. The full leather design creates a warm and centered sound. It is suitable for all varieties of music, great for the portfolio musician. Single screw design ensures quick and easy adjustment. Solid mechanism ensures ligature won't slip when in place. The Dark design offers a warm, rich tone. Works well, I'm very pleased.